I can’t stand working in cafés. Seriously. There would always be a group of noisy people on the nearby table. Like, forever. I’m not sure how some could have the energy to laugh that loudly (must be the coffee) or the confidence to announce their senseless life stories across the whole café, but the point is that maybe the coffee needs to be a thousand bucks a cup so that they would take their party somewhere else. Which brings me to my next point: earphones. Please don’t suggest that I wear them on to block the noise because I only have dance music on my playlists, therefore I would either: (1) stop working and imagine my routines or (2) stop working and actually dance my routines. Also, I listen to music because I want to and not because I have to, if you know what I mean. Which doesn’t mean to say that their coffee is sold at a thousand bucks each. 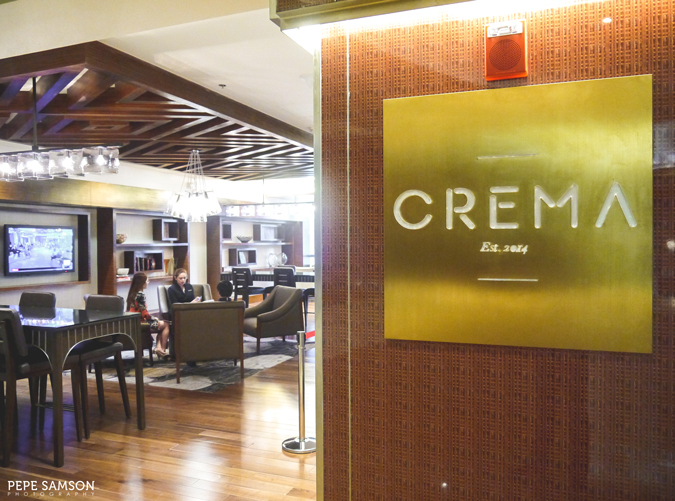 On the contrary, Crema’s price point is pretty reasonable for a hotel restaurant. 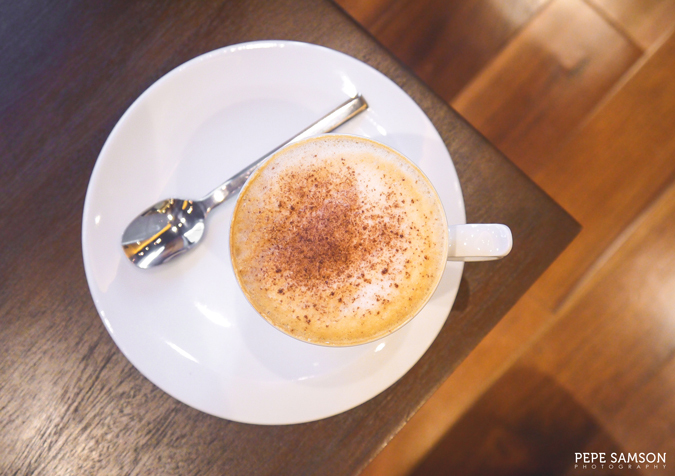 Coffees range from PhP170 to PhP240 while food items cost no more than PhP280. Fair pricing, if you ask me, considering the lovely ambience and the privacy that Crema offers. We chose to sit on the couch near the window where it seemed the most comfortable. 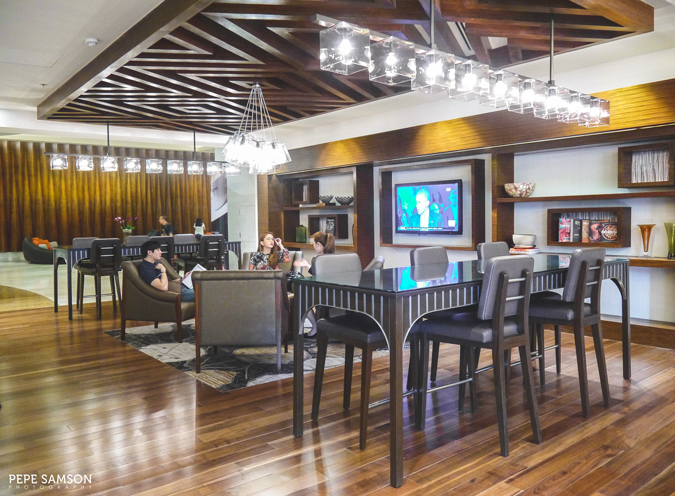 There are also round tables situated near the entrance—designed for meetings, I suppose—and high ones on the center surrounded by tall chairs. 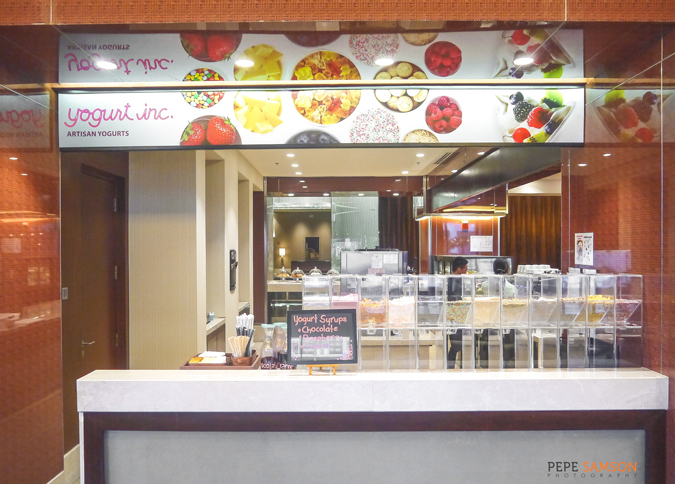 To the right of the entrance is the ordering area where the merchandise is on display; from here, diners can get a glimpse of the baking area as well. 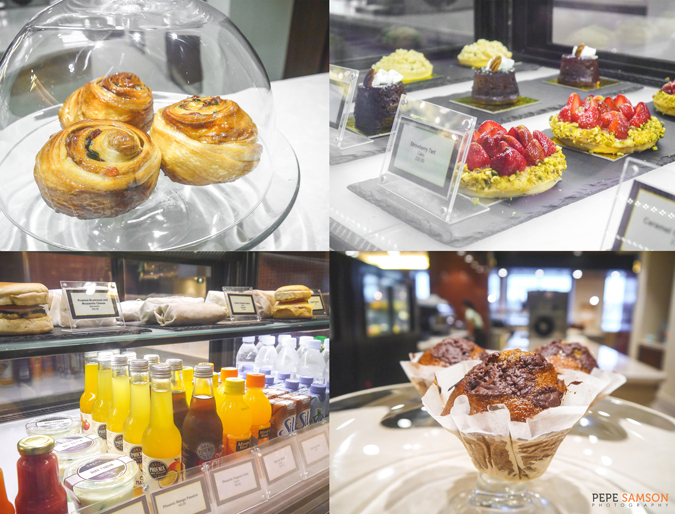 We tried a variety of sandwiches, pastries, cakes, and drinks—and some stood out more than others. 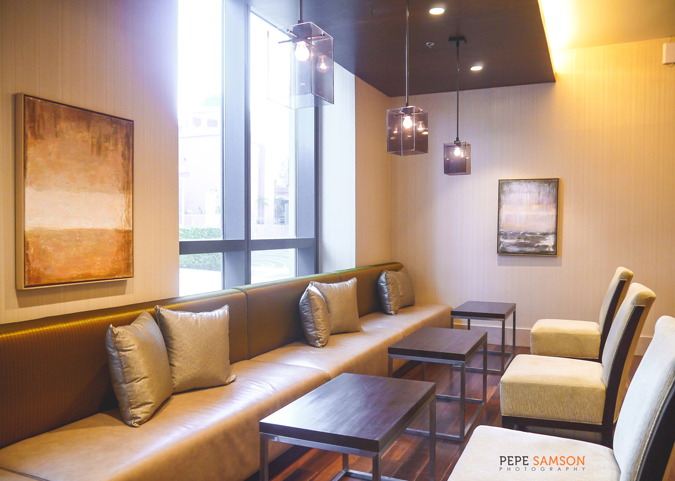 For instance, the Roast Mushroom and Mozzarella Cheese Sandwich (PhP250) was an instant hit. Nevermind that it looks like those flying saucers sold in high school, the arugula pesto sauce inside would totally win you over. Another favorite was the Ube Ensaymada (PhP160) which was delightfully cloaked with cheese. If you’re craving for something light, get the Cream Cheese Danish (PhP120). Or maybe not. This danish came as a huge slab of flaky, butter pastry—but make no mistake, I’m not complaining. It concealed delicious cream cheese inside—this is the kind of thing I want for breakfast or afternoon snack everyday! 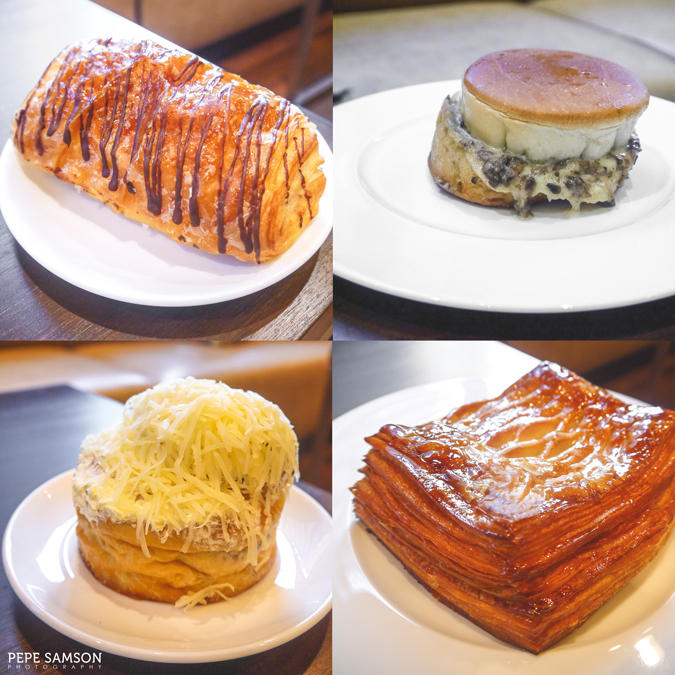 Similarly, the Chocolate Croissant (PhP110) was a huge surprise. Don’t be fooled by the drizzle of chocolate outside; inside, there are, like, blocks of yummy, non-sickening dark chocolate. 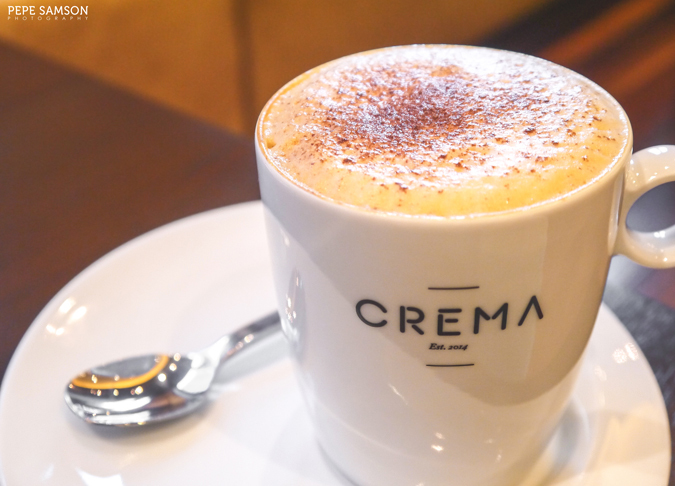 Of course I had my usual Americano (PhP170) but considering Crema’s good choice of coffee, I also tried the Cappuccino (PhP180). I really can’t stand cream in my coffee so after one sip I went back to my plain dark brew. My sister had a Latte (PhP180) with non-fat milk, which Crema, of course, had in stock. The coffees perfectly complemented everything—whether it’s a savory sandwich or a really sweet dessert, like the ones I would tell you about next. The Tiramisu (PhP270) was too sweet and rich, in my opinion, so my sugar-crazy sisters finished it. 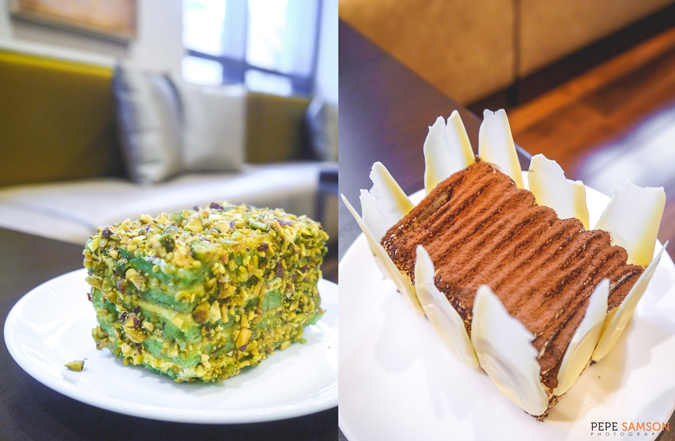 The Pistachio Sans Rival (PhP270), on the other hand, was not only beautiful to look at but also a delight to eat. It was loaded generously with pistachio nuts as you can see, and slightly minty. The slice size makes up for the price. Then out came my order of Cheesecake (PhP270) and I wanted to turn the tables over. It was SO GOOD. Not as soft and creamy as I would normally prefer, but still delicious because of the pronounced flavor of the cheese—not milk, not cream, not sugar, not whatever. And those tart fresh fruits on top! Perfect! 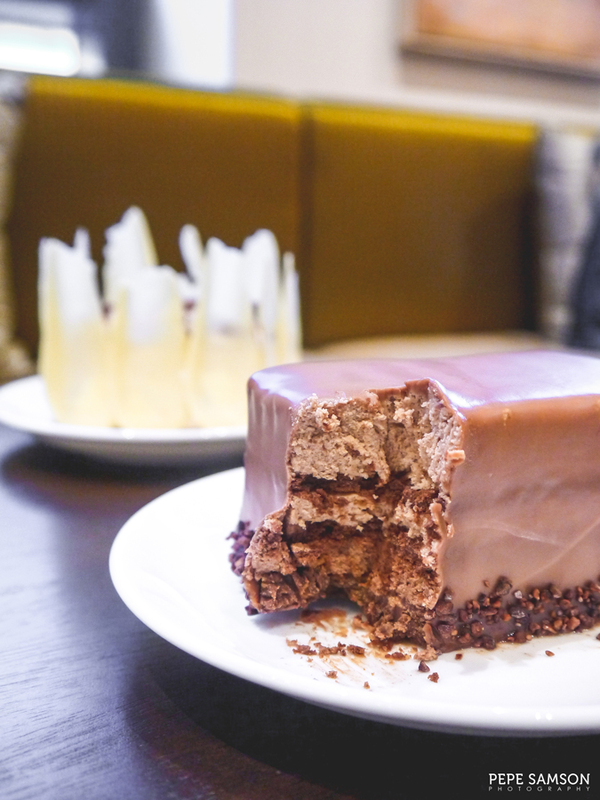 Now, if in the previous paragraph I wanted to destroy tables, in this one I want to destroy your life for wasting your time reading and not running to Crema to order the Flourless Chocolate Feuilletine (PhP250)! The pastry chef can make me wash his shoes or whatever. Layers of cake, coffee buttercream, and chocolate ganache ensconce crispy feuilletines—one of the best cakes I’ve ever tasted. The best part? It wasn’t sickeningly sweet! Therefore I ate the huge slice all by myself and didn’t share. 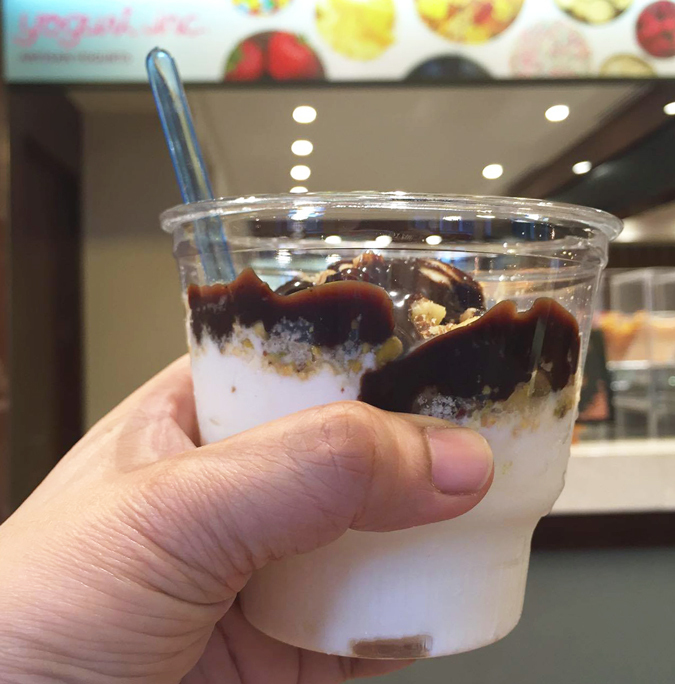 Aside from desserts, savories, and coffee-based concoctions, Crema also offers smoothies, teas and yogurts, which would surely gain the approval of the health conscious. 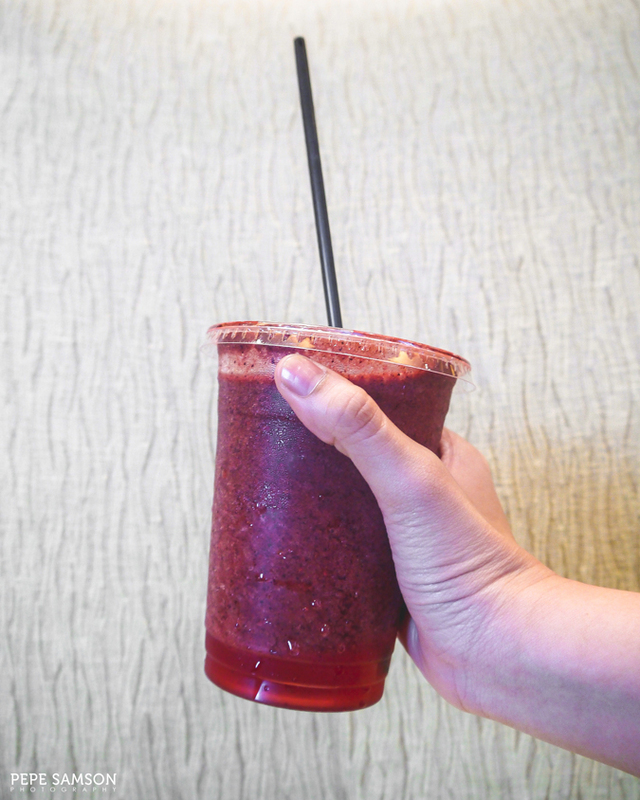 My baby sister had a Berry Smoothie (PhP220) freshly made with strawberries, blueberries, and raspberries. 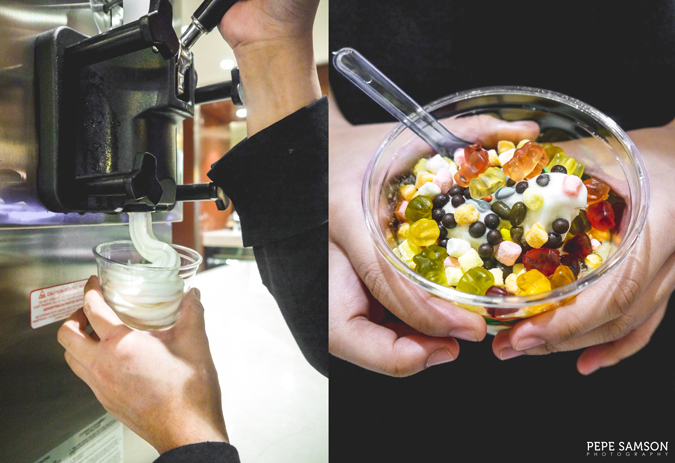 The Yogurt Station invites diners to make their own yogurt cups (PhP150 with 2 choices of toppings) by choosing from a variety of artisanal bases, toppings, and syrups. We ordered two plain ones with different toppings for each: the first one was loaded with cereal, granola, and a variety of nuts, finished with some chocolate syrup while the second one is something a kid might enjoy with gummy bears, candy sprinkles, chocolates, and mallows as toppings, plus caramel syrup. 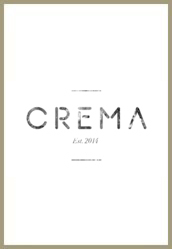 Crema makes deliveries inside the Marriott premises and has cute boxes ready for takeaways as well. 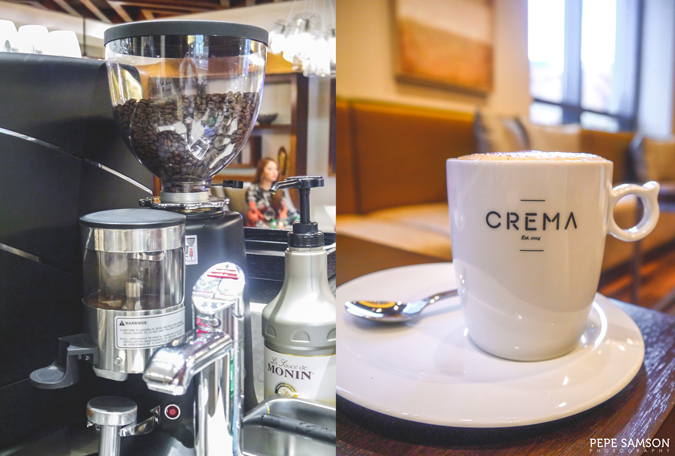 In general, we enjoyed hanging out at Crema not only because of the seclusion and the comfortable amenities but also because of the delectable offerings. 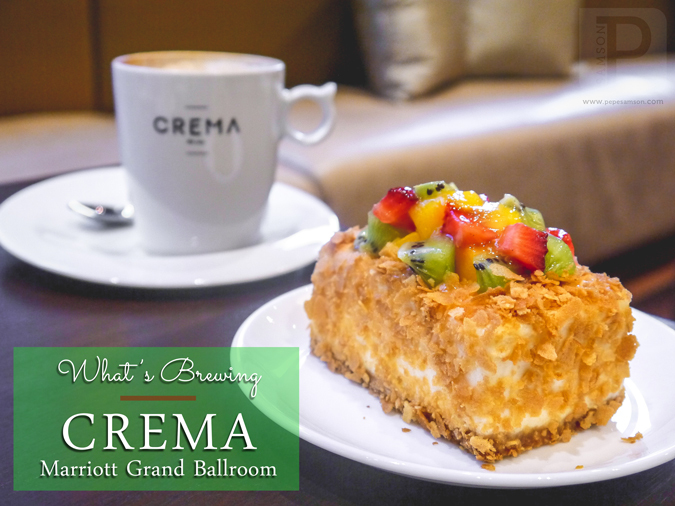 From sandwiches and cakes to coffees and smoothies, Crema has a wide selection of fresh food and beverage items that will suit businessmen, professionals, Grand Ballroom visitors, foodies, or casual passersby. 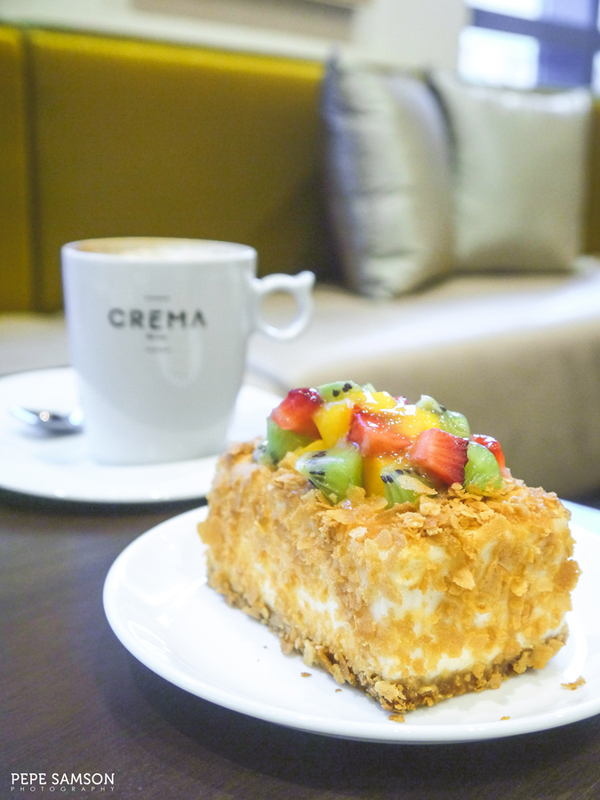 In fact, the next time I’m meeting someone around the Pasay or Taguig areas, I’m definitely bringing him to Crema. 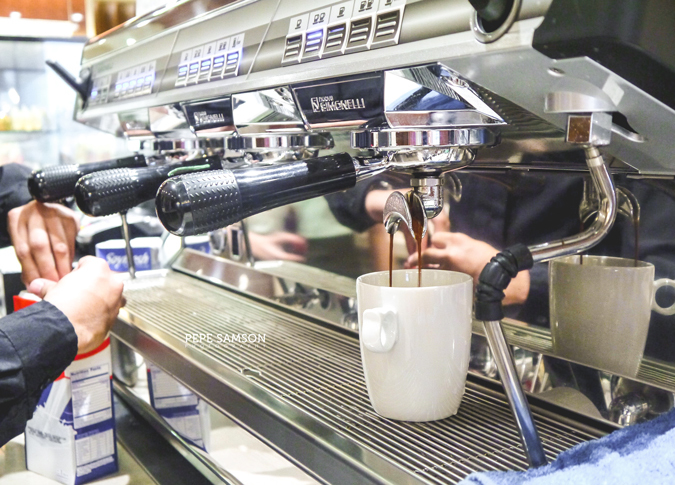 Are you a coffee shop camper? 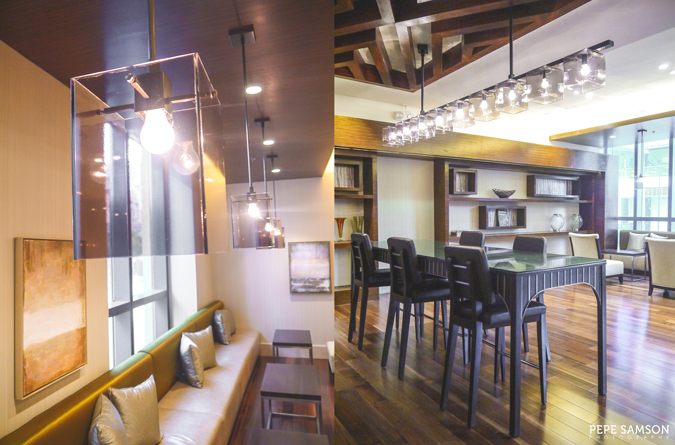 Where do you love to hang out? 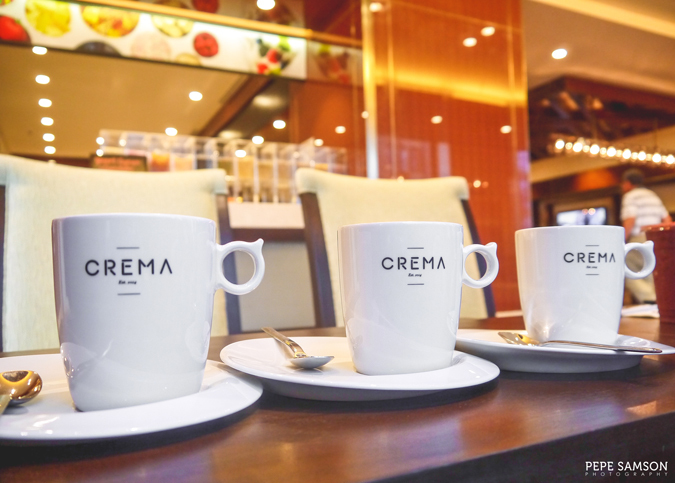 What do you think of Crema?